The Epic Analogue RCA cable employs a unique multiple conductor construction. Although the cable uses Tuned ARAY conductor technology, additional conductors have been added to further enhance the cable’s ability to carry fine levels of detail. Epic Analogue conductors are constructed from silver-plated multi strand oxygen free copper. These conductors are insulated with PTFE before being surrounded by a specially selected internal PVC jacket. This reduces mechanical noise and correctly spaces the high density braid and foil shield, which is effective to high frequencies. 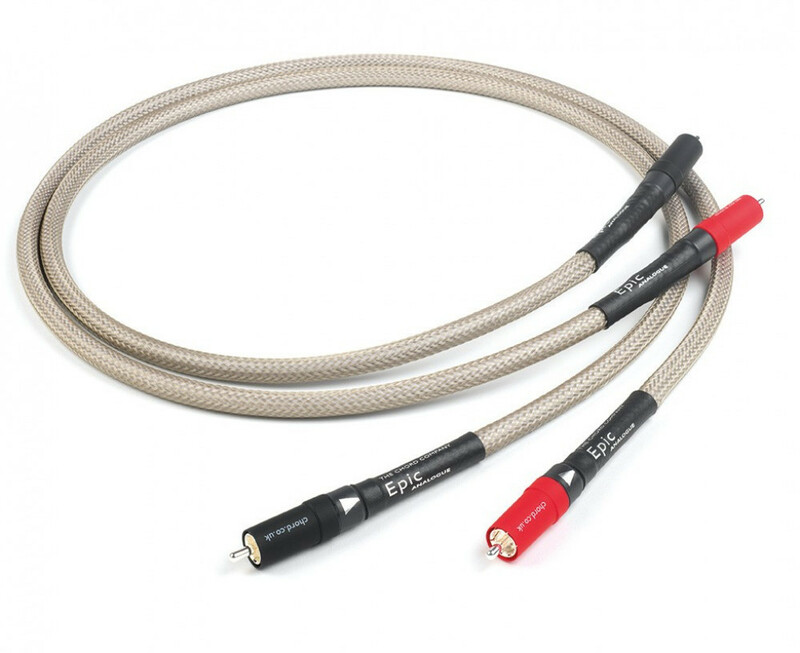 This cable is available in custom lengths and can be terminated with RCA and XLR connections. All connectors feature silver-plated contacts. This cable is part of the Epic cable range which includes loudspeaker cable and digital interconnects. Epic cables have been designed to perform together. However, all Chord interconnects and speaker cables follow a similar design philosophy. This means that all Chord cable ranges are compatible with each other. Chord Epic interconnects are built to exacting standards and rigorously tested at our UK facility. Tuned ARAYinterconnects require extremely precise construction methods and each cable is built by our team of trained technicians. The Tuned ARAY conductor configuration was originally developed on our then flagship Sarum interconnect cables. Tuned ARAY cables carry high levels of detail and dynamic information and they do so in a way that preserves the rhythmic integrity of the music. Systems connected with Tuned ARAY cables produce music that is remarkably involving, creating an experience that is enjoyable and emotional. Tuned ARAY cables allow you to connect properly with your favourite music.